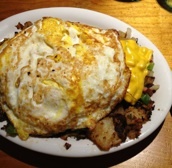 ***** Wagons West Restaurant, 11301 South Dixie Highway, Pinecrest, Florida 33156 (305) 238-9942. I am going to guess that Wagons West has been in business for something like a 1,000 years…This is an absolutely terrific joint if “diners” are your game. 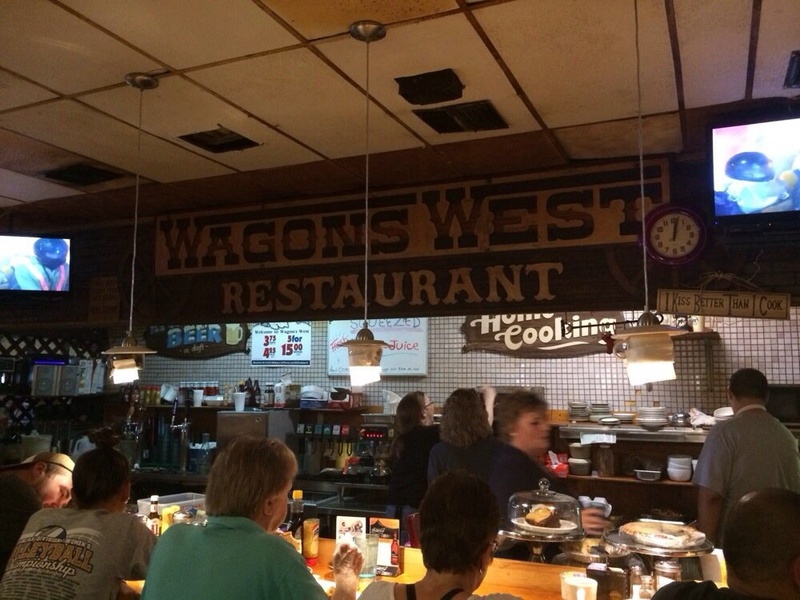 Wagons West has counter and booth seating and has a menu loaded with all kinds of breakfast items, soups, salads, appetizers, sandwiches, burgers, chilis, meat/fish/chicken entees and desserts. Nothing fancy here…good solid food, large portions, reasonable prices, very pleasant wait-service. A couple of grilled pork chops with a potato and vegetable goes for $10.95 and a bacon cheeseburger with french fries runs $7.45. If I counted right, the joint has 17 different omelettes for consumption. I love joints like Wagons West…which is open Monday-Saturday 6:30am-9pm and Sunday 6:30am-4pm. I have been eating breakfast for years. Kind of thought that Wagons was a well kept secret. Hope I still can get a booth on my Sunday ritual.